Legislation that would have declared anti-LGBT conversion therapy unlawful and would have banned advertising for it has been pulled back by its author, even though he appeared to have the votes to pass it. 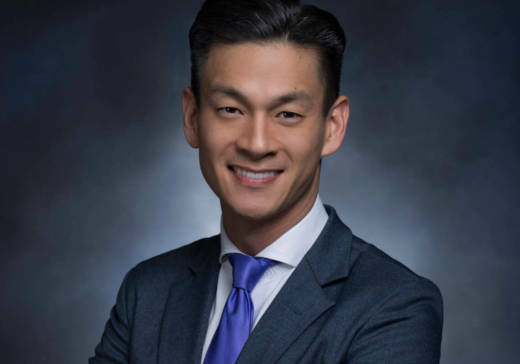 In a personal statement released Friday morning, South Bay Assemblyman Evan Low (D-San Jose) described authoring AB 2943 as "one of the most personal decisions I have made since taking office." Although versions of the bill had passed both the Senate and Assembly, Low said he wanted a bill that addressed the concerns of some in the religious community who worried about its financial impact. “The best policy is not made in a vacuum and in order to advance the strongest piece of legislation, the bill requires additional time to allow for an inclusive process not hampered by legislative deadlines," Low wrote. Tonight is the deadline for passing legislation this year. In response, Greg Burt with the California Family Council (CFC) released a statement thanking Low for pulling the bill, calling his decision "an incredible answer to the prayers of thousands across the country." Low spent part of the summer traveling the state and meeting with a variety of pastors and other faith leaders who were concerned about his bill. "They were fearful if the bill was signed into law they could be exposed to litigation, which would force them to use their valuable resources to defend themselves, rather than provide direct services to their community," Low said. "I understand that." Jonathan Keller, president of the California Family Council, said his group was "inexpressibly grateful" to Low for what he called "unprecedented outreach to the faith community." Despite lingering opposition to the bill, Low said he was "heartened" by the conversations he had, adding that many religious leaders agreed the practice of conversion therapy was harmful and discredited by the medical profession. In explaining his decision to hold back his legislation even in the face of victory, Low said he just felt the need to seek "common ground" with faith-based opposition, but according to his office "the clock ran out" in this legislative session to amend the bill in a way that both sides could support. Low noted the bill had bipartisan support with every indication that the governor would sign it, since he signed a 2012 bill that banned conversion therapy for minors. "We felt we were on the side of the angels," Low said. Given that, this is an unusual outcome as Democrats have in the past relished the opportunity to pass LGBT rights legislation over strenuous objections and opposition from the religious community. Low seems to have a bigger goal in mind than just passing AB 2943, perhaps aiming to build bridges with conservative religious leaders in hopes they can collaborate on other issues down the line.